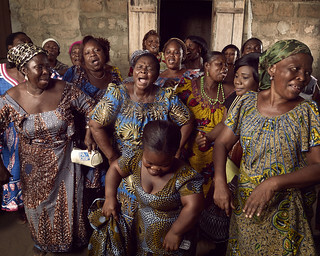 In the Bè-Ablogamé district of Lomé, the capital of Togo, women in the Délali Association have come together under the leadership of Colette Desseh, the wife of the neighborhood’s chief, to back each other up and help their small, home-grown businesses thrive. Colette herself has taken in a bevy of street children, whom she lodges in one of the houses she owns. Some of her young charges are stunted in growth due to malnutrition. Colette also has a 35-year-old son who is a banker in Miami. The Délali Association proclaims in its statutes that “humanity cannot be happy without addressing the needs of the disadvantaged, especially orphans, children and women.” Research shows that network ties are an underutilized power for generating information flow among women. Providing women opportunities to expand their networks may allow them to increase their access to inputs such as credit, help them acquire necessary skills and assist them in reaching out to potential business clients.